MQTT is machine to machine connectivity protocol which is designed in a way to be appropriate for Internet of Things. 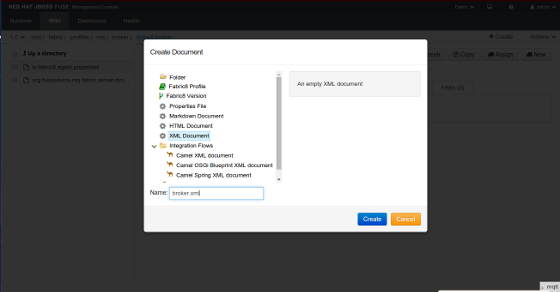 Long story short: MQTT allows clients to subscribe and publish message related to a given topic and a broker handles and delivers the information. 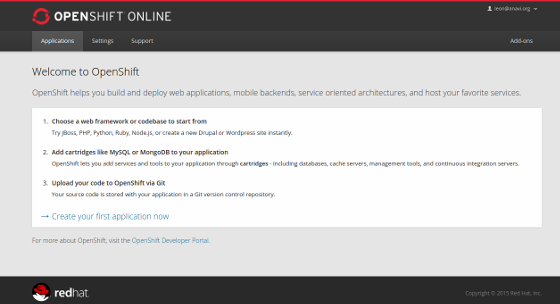 OpenShift is an advanced cloud hosting platform from Red Hat. 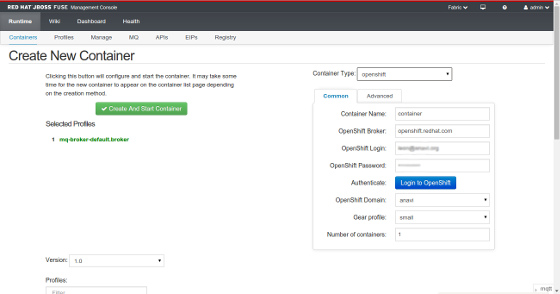 This article is influenced by Chistina Lin tutorials and presentations about OpenShift and messaging brokers. 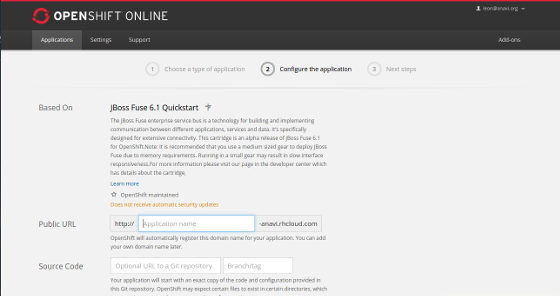 The provided information in this article will guide you how to create a platform as a services (PaaS) by setting up MQTT broker in the cloud using OpenShift, JBoss Fuse and A-MQ. 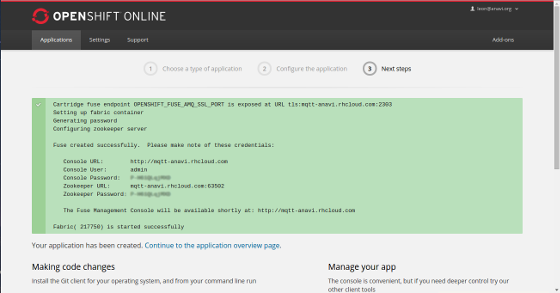 Wait for a while until the application is created and save the displayed credentials. They are important and you will need them later. 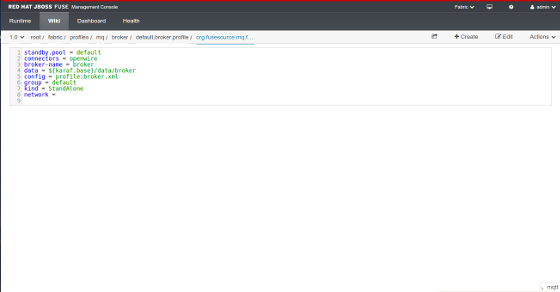 Go to the console URL and login using the username and password provided on the previous screen. Type in a name of the broker. Set its type to StandAlone and set the minimum instances to 1. After that click Create Broker. 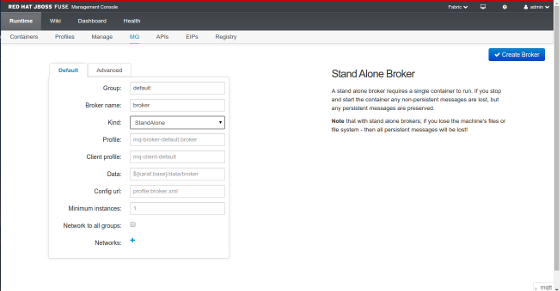 Wait for while and on the next screen click to create a container for the broker. Create broker.xml, copy and insert the following configurations in it, and save it. 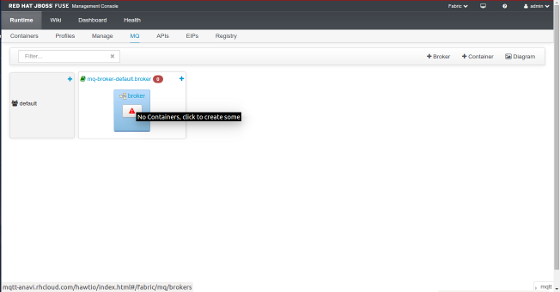 Go to Runtime tab and restart the container. 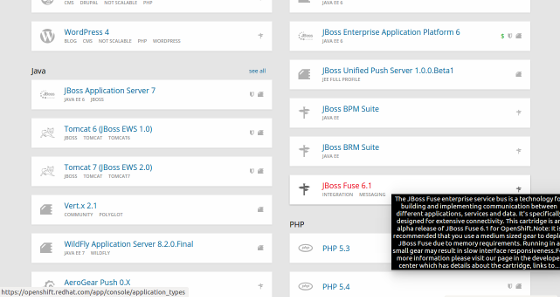 When the container is running again click the icon on the right end of the line to connect to the container and check its log files. Pay attention to output from the previous step and note the port for MQTT on the local host, most probably it will be 1883. 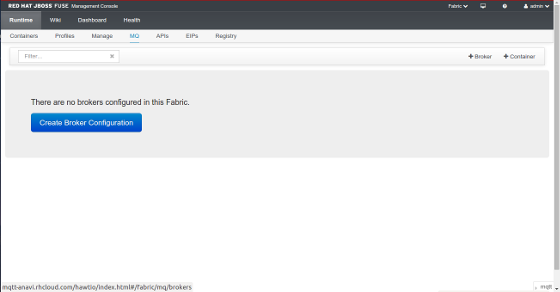 In rare cases, if you have another MQTT broker running on your local system, the local port forwarded from the MQTT broker in OpenShift might be different, for example 1884. 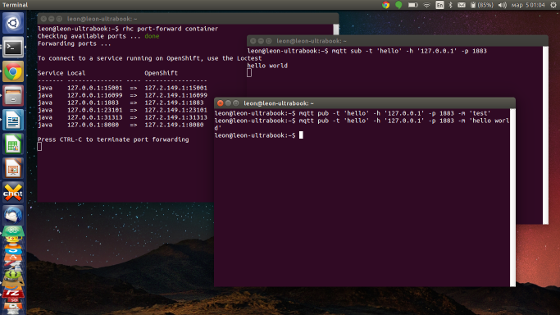 Open another terminal and publish a message on topic hello with text test. Verify that the message is received by the subscriber. If the message has been received by the client subscribed to this topic then congratulations you have successfully set up MQTT broker in the Cloud with OpenShift and your Internet of Things can communicate through it. The port forwarding is not convenient for real life cases, especially if the MQTT clients are working on embedded devices such as microcontrollers and it is recommended to use a SNI Proxy as explained here.